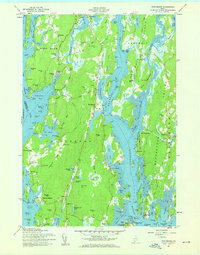 U.S. Geological Survey, 1957, USGS 1:24000-scale Quadrangle for Phippsburg, ME 1957: U.S. Geological Survey. USGS Historical Quadrangle in GeoPDF. The USGS Historical Quadrangle Scanning Project (HQSP) is scanning all scales and all editions of topographic maps published by the U.S. Geological Survey (USGS) since the inception of the topographic mapping program in 1884. This map is provided as a general purpose map in GeoPDF for users who are not GIS experts.